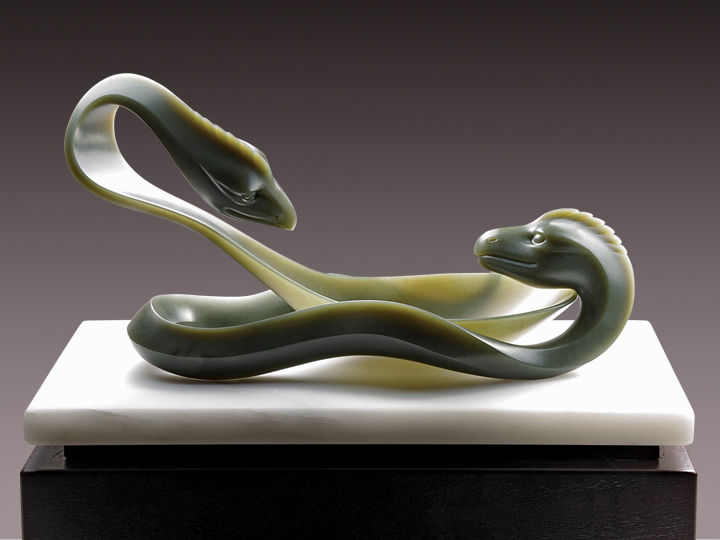 DRAGON AND PHOENIX SPOON, Wyoming olive nephrite. In early Chinese culture, the dragon and the phoenix together became a symbol of the Emperor and Empress and, in time, the unity of marriage. 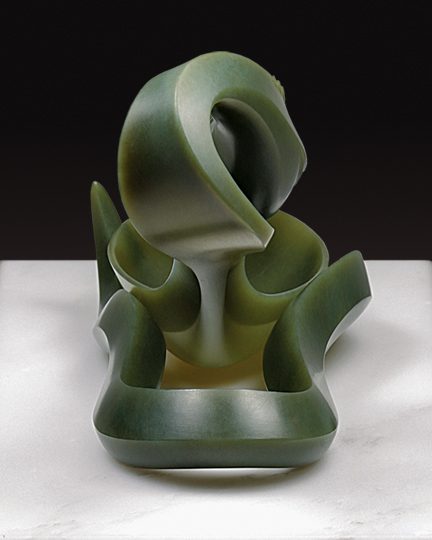 The actual title of this latest creation, ‘Nurturing the Yin while Feeding the Yang’, is the closest interpretation of the four Chinese characters that have been assigned to it. 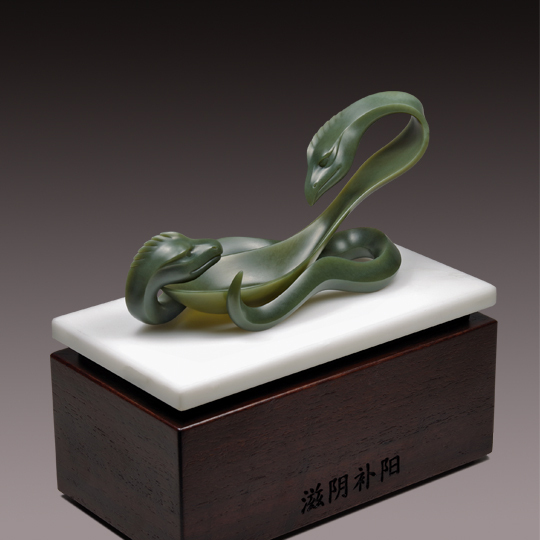 It won a Gold Award in the 2016 Zi Gang Bei International Jade competition, in Suzhou, China. Overall size is 6.5”l x 3.5”d x 6.25”h, including the walnut base with marble top.